Want to know more about becoming a Paramedic? WMAS will be at Job Centre Plus at Temple Row House, Soho Road, Birmingham on Thursday 14th March between 10am and 4pm. Come along and see what becoming a paramedic is all about . . . 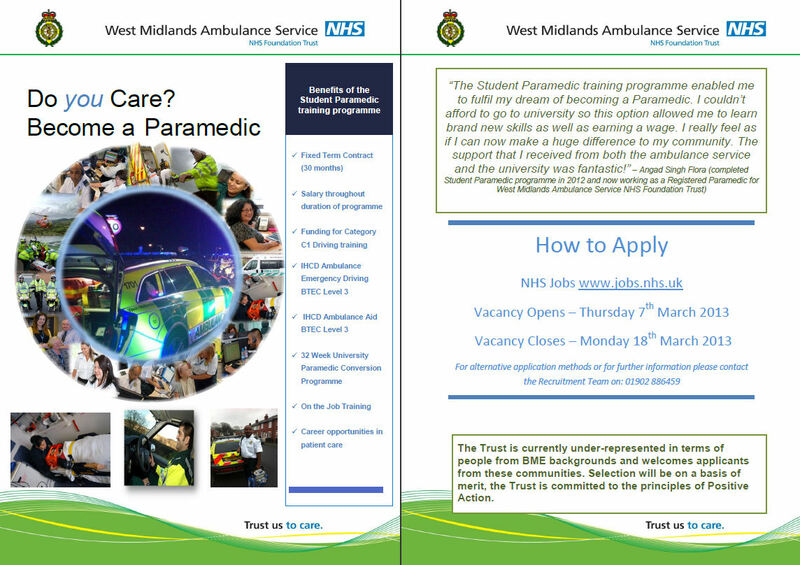 Previous Entry Want to know more about becoming a Paramedic?